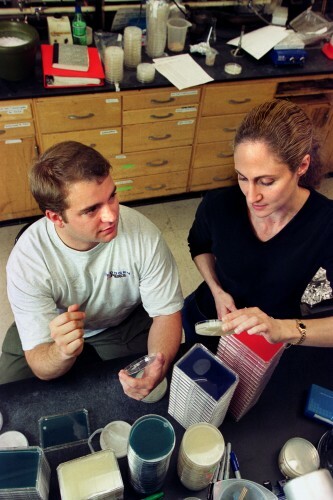 Pictured on the right, Jo Handelsman examining petri dish samples with a graduate student in lab. Courtesy of the University of Wisconsin-Madison. 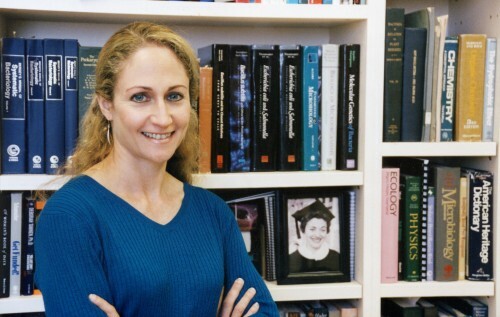 On July 31, the White House announced the nomination of Jo Handelsman to serve as the Associate Director for Science at the U.S. Office of Science and Technology Policy. If appointed, she will help advise President Obama on the implications of science on domestic and foreign affairs. Handelsman is currently the Howard Hughes Medical Institute Professor and Frederick Phineas Rose Professor in the Department of Molecular, Cellular, and Developmental Biology at Yale University. Previous to being appointed to her position at Yale, she served several faculty positions at the University of Wisconsin-Madison, where she earned her PhD in molecular biology. Her research focuses on microscopic biodiversity found in soil, plant, and insect communities, which have led to the development of new antibiotics among other novel discoveries. 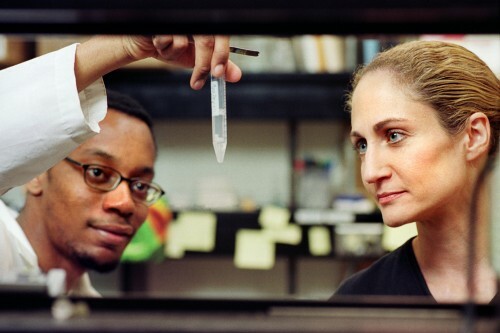 Jo Handelsman (right) researching in the laboratory with a graduate student. Courtesy of the University of Wisconsin-Madison. Though Handelsman’s scientific work specializes in microbial communities, her impacts have reached far beyond this field. She is a strong advocate of reform in classroom teaching and has led several initiatives in this field. These include founding the Center for Scientific Teaching at Yale and co-organizing the Summer Institute on Undergraduate Education in Biology. Handelsman aims to incorporate the essence of science itself into classroom instruction by replacing average mundane lectures with active learning and increased student participation, mentoring, and direct feedback while strengthening classroom diversity. Handelsman is also on the forefront in the push to decrease the gender gap in STEM fields. As she explained, “Since white men are the norm among faculty on most college campuses, women and people from minority groups sometimes feel out of place.” By combating this gender homogeneity with programs such as the Women in Science and Engineering Leadership Institute at UW-Madison (which she co-founded) and creating short plays about the topic with drama schools at UW Wisconsin-Madison and Yale University, Handelsman spurs discussion and creates change regarding this issue. Jo Handelsman pictured in her former office at UW Madison. Courtesy of the University of Wisconsin-Madison. Through her work with increasing diversity in STEM fields, Handelsman has taken a path to ensure a more prosperous future not only for women, but also the nation and world at large. This combined with her wealth of scientific knowledge and work in classroom reform will make her an important facet in many science, policy, and education affairs both now and in the years to come. About the Author: Josh Feng is a freshman in Timothy Dwight College. His major remains undecided, though he is considering cognitive science, physics, global affairs, and architecture. He also loves music, visual arts, and running.